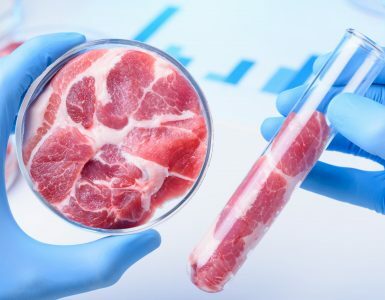 Over the past few years technology and agriculture have come together in an unprecedented way, as advances in the ‘Internet of Things’ (IoT) and big data analysis are increasingly applied to the production, processing and marketing of food and fibre. The purpose of this article is to de-mystify the IoT and how it will change agriculture in Australia. It explores the drivers, IoT in the broader context of farming technology and why IoT is important for the future of agriculture. It looks at how the IoT is evolving in Australia, within the R&D sector, industry and government. Finally, policy areas that must be addressed to facilitate the adoption of IoT in agriculture are considered. In 1999, British technology pioneer Kevin Ashton coined the term ‘Internet of Things’ to describe a system where the physical world is connected to the internet via sensors. He envisaged a system where computers would gather data and track, count, monitor and understand every aspect of the physical world without the limitations of human-entered data (1), leading to greatly increased productivity, effectiveness and efficiencies. The Internet of Things, or IoT is now a household term. The utopian vision for IoT is a world where anything can connect to anything via connectivity infrastructure that is significantly cheaper and far more granular than existing mobile networks, and devices can be added to the network at any place and time. Devices and applications talk to each other across the network. Data is open and shared widely, with huge amounts of data (big data) being combined, analysed and fed into cloud-based software which automates and manages almost every aspect of life. Significant developments in standards and protocols for connectivity, as well as intelligence built into sensing devices and networks has enabled the IoT to flourish, with an estimated 10 billion internet-connected devices in 2014 expected to grow to up to 50 billion by 2020. The proliferation of smartphones has heightened progress dramatically, providing a mobile platform for human interaction with IoT applications. Agriculture, more than almost any other pursuit involves daily interaction between humans and very complex physical environments – the land and its soil, water and vegetation, farm equipment and machinery, animals, seeds, chemicals and other inputs, fuel, vehicles, buildings, tanks and fences – the list goes on. It makes sense then that as the IoT has evolved, agriculture has become a key sector of focus. According to the 2015 Enabling the Internet of Things for Australia report, three key drivers are enabling the IoT – dramatic decreases in the cost of intelligent sensors and actuators; the availability of near-ubiquitous connectivity at a progressively decreasing cost per bit; and increasing sophistication in handling large volumes from disparate sources of data (big data analysis) (2). A fourth and equally important driver is interoperability. Each of these are explored in more detail below. Sensing devices measure changes in their environment and send data to a central computer to be gathered, analysed and turned into information that feeds into decision-support systems. Data from sensors can trigger actuators, components of a system that move or control mechanisms. Sensors and actuators together in the IoT can automate processes that may have been previously carried out by humans. Sensors are increasingly tiny, some as small as a grain of rice, and are being embedded into all manner of objects during manufacturing. At this price, true IoT ubiquity becomes achievable. By applying this economics to soil moisture sensors as an example and reducing the cost from thousands of dollars to just dollars per unit, it becomes affordable to have a network of them covering every soil and topography zone across the paddock. Zoning for variable rate and section control driven by on-the-go sensors will be achieved at levels of granularity unimaginable today. The challenge will be to ensure that reduced cost doesn’t come at the price of accuracy and integrity of data. Sensors generate large volumes of data that must be captured, analysed and interpreted to make any sense or add any value to human enterprises. Large reductions in the costs of computer processing power and storage and the advent of cloud computing have created a capacity to gather and analyse big data and to look for patterns and trends that can be used for predictive decision-making. Data-driven agriculture takes data collected from multiple sources including sensors, stores and aggregates and processes the data in software platforms and applications that provide a more complete picture of what is happening on the farm environment than can be discerned by human observation alone. Interoperability – the ability for devices to connect, discover and communicate easily with each other, across multiple operating systems and platforms – is critical to the IoT. This requires open source standards and architectures that can be used by application developers and device manufacturers so that their services and products will communicate across the IoT. It is early days for the development of these standards. There are a range of emerging and competing standards and choosing the right ones depends on the requirements of the industry and participants. It is a chicken and egg challenge – without adopting a standard, the IoT won’t grow, but which to choose at this early stage? In the smart cities arena, the Internet of Things Alliance Australia (IoTAA), Australia’s peak body for IoT has advocated picking one, picking quickly and getting the infrastructure in place so that innovation and application development can get going on the network. In November 2016, IoTAA came together with the Australian Government to launch Hypercat as an IoT interoperability standard to support the development of smart cities in Australia. In order to advance IoT in agriculture, similar decisions will need to be made, but how this occurs and who decides is not yet entirely clear. ‘Smart farming’ is an umbrella term that describes the adoption of digital technology allowing farm decisions to be augmented by information that comes from sensors, drones, farm software and outside sources. It also refers to the automation of farm decisions, where machines and systems such as robots, autonomous vehicles and smart irrigation systems, act in accordance to data coming in from the environment. IoT is part of a smart farming, but not all technology for smart farms requires the IoT. Machine to machine (M2M) communications is a precursor to IoT, and is well developed in Australian agriculture, enabled by the mobile networks. M2M includes the operation of specific solutions within farms and small networks, and is characterised by process specific sensors that gather site specific data and use telemetry to send data streams back to a centralised computer. These sensors feed straight into dashboards on smartphones and tablets for use by farmers and agronomists. Connectivity is mostly via mobile phone networks. Increasingly, actuators are being embedded for alarming applications, to manage water allocation in irrigation for example. IoT will be an enabling infrastructure for the development of increasingly cost-effective and sophisticated smart farming applications, across all sectors. While M2M farm technology is well advanced in some sectors, it is still expensive as it is often reliant on mobile networks and proprietary sensing technologies. The transition from M2M to true IoT will take data flows from sensors and actuators out of the closed farm system, and into an open data system that involves data not only on-farm but the world at large, that is connected to the IoT. In other words, it will take farm data beyond the farm gate. It enables the flow of data from individual farms and aggregated data from groups of farms to regulators, suppliers, customers, banks, financiers and insurance providers. This is where IoT will come into its own in agriculture – in the delivery of transparency and traceability through supply chains, in opening up smart capital and payment gateways, in managing regulatory compliance, and in closing gaps between producers and their markets. This transition can be described as a move from ‘precision agriculture’, a range of individual technologies that may or may not be connected to each other that contribute to improved farm practice, to ‘decision agriculture’, whereby data from these precision agriculture technologies and other data sets are seamlessly connected and used in big data analytics for improved decision-making both on farms and along supply chains to markets and consumers. Consumers and markets will be aligned with producers through supply chains in ways that have not previously been possible, allowing for authentication of production values and mass customisation. This vision is attracting a whole new range of players into agriculture and agribusiness, excited by the commercial opportunities for applying IoT technologies to the food system. This also opens up a range of questions: What will be the benefits of IoT for farmers, their customers, their suppliers, regulators, and consumers? How will industry standards for interoperability and connectivity be evaluated, selected and implemented? 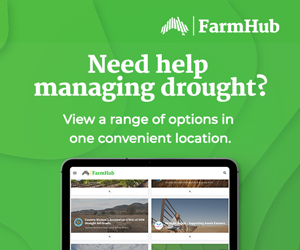 How will the rural data drought be broken, and who will pay for and install new IoT connectivity networks? Who is thinking about the security of data – how safe is sensitive data and who is in control of the security of data over the IoT? These questions are wide open. These questions and others are being discussed within the Accelerating Precision Agriculture to Decision Agriculture (P2D) project, funded by the Federal Department of Agriculture and Water Resources and involving all 15 research and development corporations (RDCs) (4). The goal of the project is to design a solution for the role of big data in agriculture, to increase the profitability for producers, provide clarity about data ownership and access rights, and improve farming strategies. The fact that all 15 RDCs are involved shows how seriously all agricultural sectors are treating these transformative and disruptive technologies. Not only will farming and food supply chains be transformed, but also agricultural research, development and innovation. The Research and Innovation Network for Precision Agriculture Systems (RINPAS) was established in 2014 (5) to create a national agenda and a collaborative framework for the successful realisation of precision agriculture in Australian agriculture (6) and includes 19 university and industry organisations across Australia (7). IoT development should be well served by the research sector. The Federal Government’s Cooperative Research Centre program will also play a part. The Data to Decision CRC is a research provider for the P2D project, and the agtech, IoT focused Food Agility CRC bid is awaiting news from the eighteenth selection round. Conventional agribusinesses are investing heavily in IoT and big data analytics through a range of strategies, including internal start-up incubators, through acquisition, and by investing in agtech start-ups. As is well documented, big data in agriculture became mainstream when Monsanto purchased Climate Corporation for US$1 billion in 2013. All major agribusinesses and equipment suppliers including John Deere and Case IH are actively pursuing digital agriculture, having well recognised its disruptive and transformative nature. The non-agricultural technology, innovation and investment sector has also come alive to agriculture. Agricultural technology, or agtech, is a new and fast growing sector for venture capitalists with global investment growing from US$400 million in 2010, to US$3 billion in 2015 (8). This has generated a vibrant and enthusiastic wave of agtech start-up activity particularly in the US and Israel. In 2016 Australia’s own agtech community emerged. Australia now has a handful of venture capital (VC) funds focused on agriculture and agtech. There were a host of meetups, pitch events and competitions including or specifically targeting agtech. 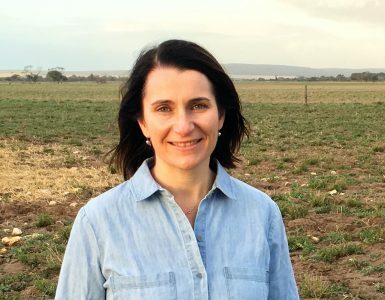 The National Farmers’ Federation teamed up with Findex to establish SproutX, a A$10 million agtech fund and Australia’s first agtech incubator, and put 100 people from diverse backgrounds through a pre-accelerator course (9). Keen technology and application developers are flocking into the space, some with deep domain expertise in agriculture, some with none. While images of smart farms connected up with sensors on everything that moves and doesn’t move – gates, fences, water tanks, equipment and machinery, pumps, and animals – are enticing, the reality is that IoT in agriculture is more likely to evolve from technologies, farming systems and processes that are already in use. Despite the enthusiasm of some of the newly formed agtech community intent on ‘solving the farm’ the reality is that the use of sensing technology, telemetry and M2M applications on-farm is well established, in highly integrated farm systems. The development of IoT in Australian agriculture is part of the next chapter in precision agriculture – as the P2D project title suggests. The existing ecosystem of innovation in rural areas that provides, supports and services the use of technology on farms will naturally evolve and drive IoT to become more reliable. The farmer-led precision agriculture (PA) sector has developed strongly over the past 20 years, convening regularly through the industry association, SPAA (the Society of Precision Agriculture in Australia). PA has its own Australian start-up culture and the sector is well serviced by innovative, industry focused technology and service providers who collaborate with researchers. Many of these businesses are exporting Australian technology, including PCT-Ag, ICT International, AgWorld and Next Technologies, to name just a few. US-based company AquaSpy grew out of Australian irrigation innovation developed in Western Australia and South Australia through the 1990s and 2000s. Until recently the focus of PA has been very much inside the farm gate, and as such, a true IoT infrastructure has not really been an imperative. The road ahead for the sector is understood however, in which data-driven decisions on-farm will be coupled with information and feedback across the supply chain and through to consumption in a ‘whole-system considerate’ approach that takes the use of sensing technology beyond the farm gate (10). Key to this however, is proving to farmers that letting their farm data go into upstream supply chains will add value and won’t harm their businesses. Corporate players from the technology, communications and investment industries are now engaging with agriculture through the newly formed agtech sector in Australia. New sources of capital and funding are flowing in through agtech focused VC and other investment funds. The new agtech start-up community is building quickly and with enthusiasm. Corporates with no previous interest in agriculture are investing, for example German electronics and engineering company Bosch has injected A$2.5 million into Australian agtech start-up The Yield. Many of these newcomers are interested in how IoT will transform food systems and supply chains. There is an on-farm focus, but with a much broader view of how farm data can be utilised to transform the food economy. This explains the interest from the banking, finance and insurance sector. One of the challenges will be to ensure that this new injection of resources and know-how meets, engages with and embellishes the existing agricultural technology sector, rather than reinventing the wheel. Deep domain knowledge isn’t everything in the start-up world, but it will help to ensure agtech is readily adopted. Australian start-up Full Profile is a great example of a new tech business being started by industry participants with deep sector knowledge. They have produced the world’s first commodity settlement on a blockchain, enabling grain farmers to be paid in real time as their grain is traded (11). Which policy areas need to be addressed to facilitate its uptake? In the main, Australia is already on the right trajectory for the vision of IoT in agriculture to become a reality. The strong PA sector and its supporting rural innovation ecosystem will increasingly drive farm systems towards IoT applications. The emerging Australian agtech sector will inject new capital, know-how and resources and speed up the rate of innovation. Bringing these two sectors together to combine the strengths of each will help the market to operate effectively and efficiently in bringing IoT to agriculture and food systems. For both groups, addressing the need for interoperability standards and architecture for agricultural data sets is important. The technology sector understands this, but it is the agriculture sector that must engage and drive the discussion – after all, it is farm data that is at stake. US farmers have been far quicker to get out ahead of these issues through the Open Ag Data Alliance. If there is a role for government, in addition to continued investment in agricultural research, development and extension (RD&E), it is to address rural connectivity and to ensure that data privacy and security is adequately regulated. Rural connectivity remains the most fundamental barrier. There is a data drought in many parts of rural Australia. It sounds like a broken record, but it is important to realise that decades of communication policy simply did not foresee what is occurring now. The most recent Regional Telecommunications Review in 2015 focused largely on the inadequacies of mobile and internet coverage, but did not anticipate the need for low cost IoT connectivity. 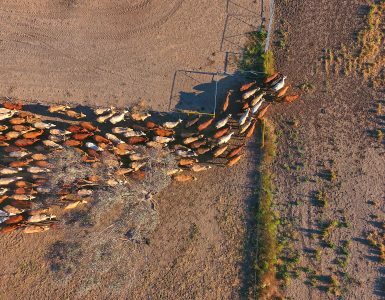 Many farmers are already privately subsidising patches for inadequate mobile and internet coverage while waiting for the NBN to catch up, but IoT connectivity is a whole new ballgame. The agriculture sector and, in particular, farmer groups would do well to look to the smart cities space for new business models and technology offerings. Data that moves along food supply chains will largely originate behind farm gates. To realise the full benefits of IoT in agriculture, network security and farm data privacy and security must be addressed. In the fast moving and open data development environment, these issues can be overlooked. Australian farmers are lagging behind their US counterparts in understanding and developing industry-led solutions. The American Farm Bureau took the lead in establishing a set of Farm Data Privacy and Security Principles in 2015, which has set a good standard in the US (12). This is an area that requires careful discussion in Australia and regulatory solutions may be needed. The IoT will transform all sectors of the economy over coming years, and agriculture is no exception. Australia has its own unique strengths and weaknesses in meeting this transformative challenge. 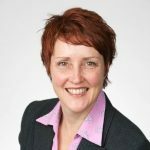 Australian farmers supported by an innovative rural ecosystem of technology product and service providers and industry associations, such as SPAA, which intersects with a strong precision agriculture research and development (R&D) sector will ensure that IoT will evolve naturally from the existing foundations of M2M technology. Moving from precision agriculture to decision agriculture, and realising the bigger vision of aligning customers and producers through data enhanced supply chains however, will require addressing critical issues of rural connectivity, and farm data privacy and security. Finally, as new entrants, capital and know-how flock to agriculture through the agtech community, there must be ways of bringing the existing and new domain expertise together, to ensure that Australia’s agriculture and food systems remain competitive in an IoT driven world. This Feature Article, ‘IOT in Agriculture – How is it evolving and which policy areas need addressing to faciilitate its uptake’, February 2017 first appeared on the Australian Farm Instutite website. 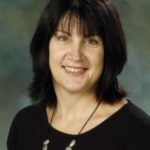 Andrea Koch is a consultant in digital agriculture, an independent director of the National Farmers' Federation, and a member of the Internet of Things Alliance Australia (IoTAA) for which she chairs the Sub Group for Food and Agribusiness.